Our smallest tank with the 19 in. diameter clamp lid. This versatile unit may be used for primary and secondary ferments as well as maturation storage. The large opening makes for easy cleaning and convenient management of oak adjuncts. 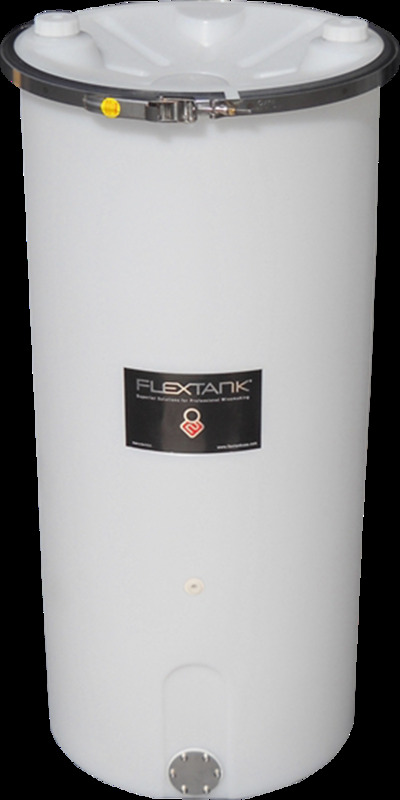 Popular with home winemakers and as a small batch or experimental unit in larger establishments the tanks are set up to accept a full range of accessories. Popular with home winemakers and as a small batch or experimental unit in larger establishments, the tanks are set up to accept a full range of accessories. VF1 - Valve Flange Kit 1.5 in.